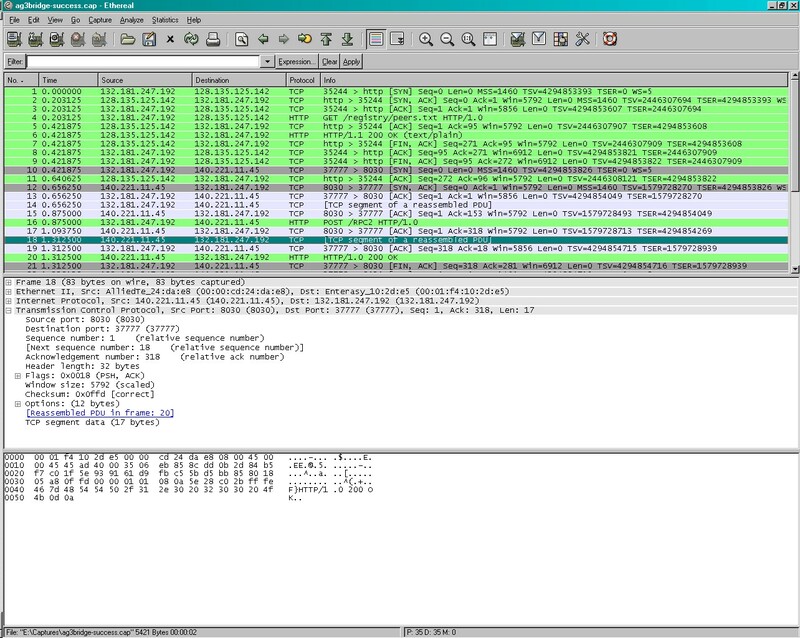 packet sniffing on both networks. I have also attached some screenshots. Sent: Wednesday, 8 August 2007 1:34 p.m.
capture file in libpcap format (Ethereal). 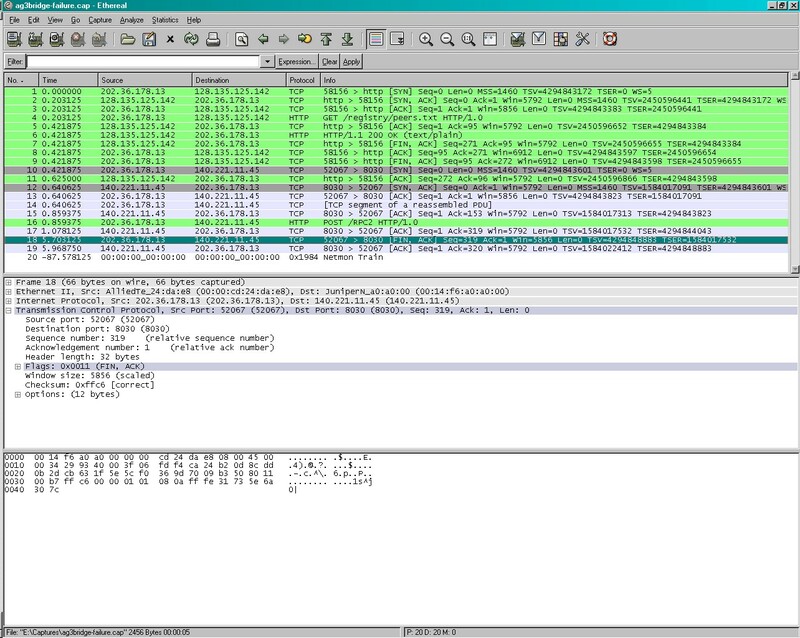 (packet 18) and close the connection. by us (of which there are none onto the 202.36.178.0/24 network anyway). non-research range perhaps?) for connecting? > Sent: Thursday, 2 August 2007 1:03 a.m.
> peers. Each bridge is contacted in turn to determine its "distance"
>> Sent: Tuesday, 31 July 2007 6:16 p.m.
>>> that I'm facing setting up a AG3.1 Bridge Server for New Zealand. >>> attempt to start bridging. >>> addresses (can reach www.accessgrid.org etc. >> then you can't register so the bridge can't continue.